We’re conveniently located on Route 10 in the heart of Morris County. We invite you to come in, browse, chat, tell us what you’re looking for in a Maserati. Our red carpet treatment isn’t for a day, or a year, but for a lifetime. Our service is impeccable as is our attention to your every need. If you’re looking for a Maserati why not get the status you deserve… at Maserati of Morris County. Our NJ Maserati dealership in Whippany was not just opened for our sake; it was to bring exquisite Maserati vehicles to the area and show clients what VIP customer service looks like. We understand that buying a new or used vehicle can be intimidating, and we do not want it to be for you! 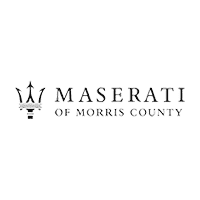 We strive to have every customer drive away from Maserati of Morris County satisfied and with zero regrets. The team at Maserati of Morris County is here to help you find the right Maserati for you. Each of our sales professionals is trained to ensure that they know Maserati vehicles inside and out. We don’t just rely on excellent training and education. Whether you come in for a new or pre-owned Maserati, to have your vehicle serviced or to arrange for financing, we are committed to providing an experience that keeps you coming back. Our team of finance experts here at Maserati of Morris County can make financing or leasing your vehicle even easier. We have the relationships with lenders to get you approved and for a rate you are satisfied with. Meet the Team – We are prepared for your arrival and waiting to serve all of your new Maserati needs! Hours & Directions – Need help finding us? Visit our convenient location today on Route 10 West in NJ.